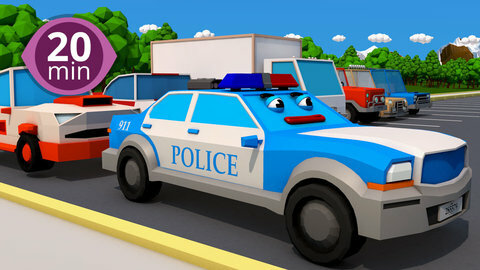 Car thief, cop tricks, and a whole lot of fun and action in this set of car adventures for kids! When the thief, who is a big, mean monster car easily gets away from the police car, he thinks he has won the chase. But the cop has a few clever tricks ready as well - look out for them in this video! Having fun? Visit SeeZisKids for more kid-friendly car cartoons!